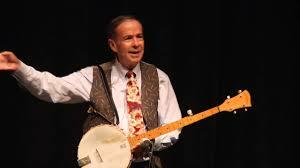 He and his banjo playing are also findable at YouTube.com. Have a few extra shekels to toss toward the radio station that makes programming like this possible? Please go to www.wesufm.org/pledge and give what you can as the end of the fiscal year approaches. An amount with a five in it and a shout-out to Reasonably Catholic on the form will nicely mark this program’s fifth anniversary! Thanks!